Category: Kilim Poufs. 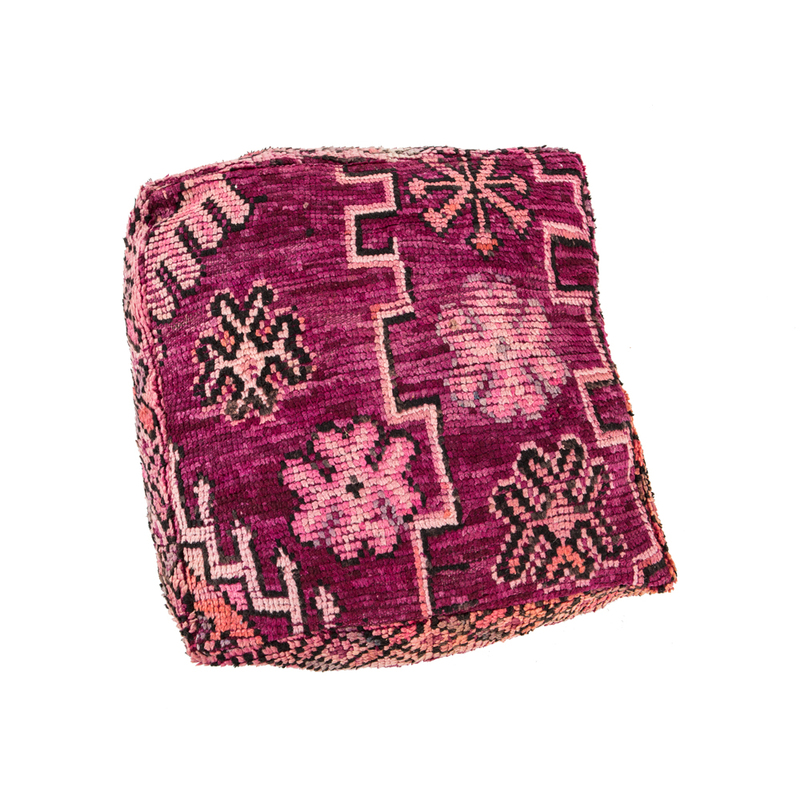 Tags: carpet pouf, hand woven, kilim pouf, Moroccan kilim pouf, Morocco, one of a kind, traditional handicraft. 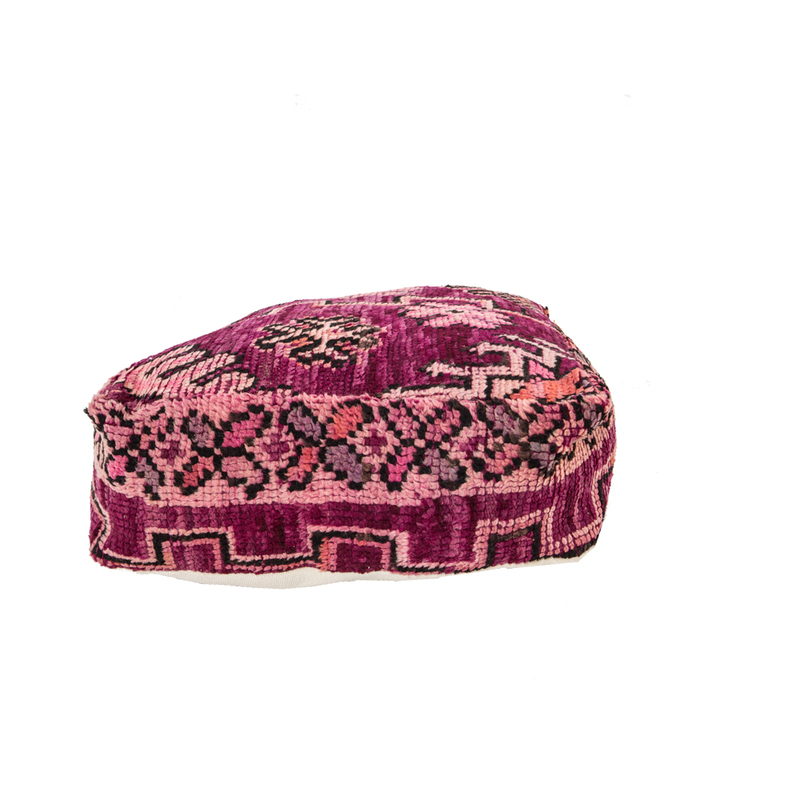 This beautiful floral Moroccan carpet pouf in a palette of cerise, berry, and rose, with touches of amber, celadon and black, is perfect for adding colour and pattern to a room. It can be used as extra seating, as an ottoman or even a low table if filled with poly foam. 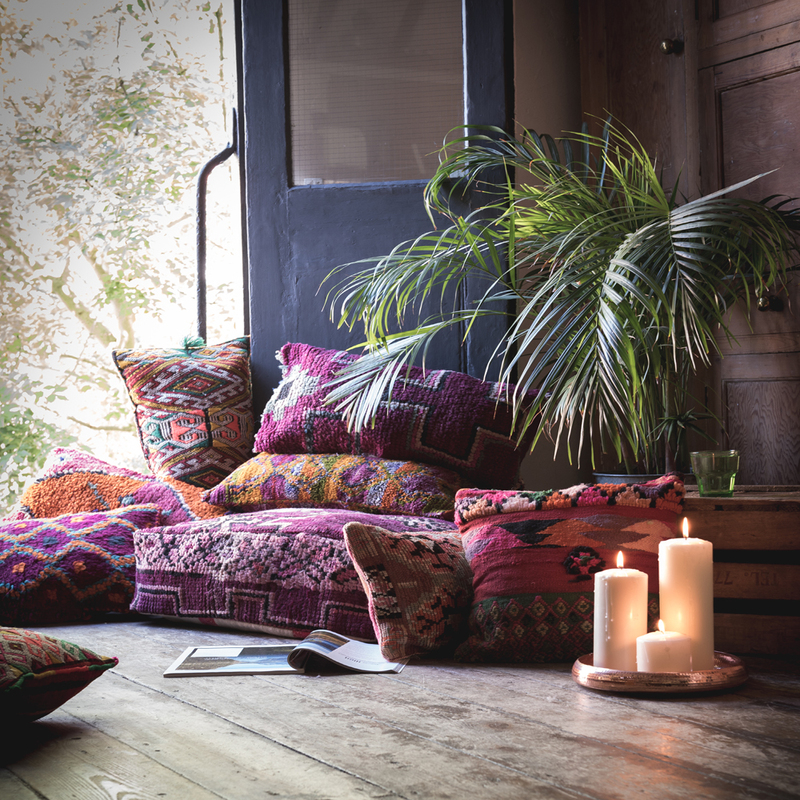 Pile a few different designs together and mix with our kilim cushions to create a boho feel. Scroll over the images to see the design in more detail. There are three kilim poufs from this beautiful carpet, all with slightly different patterns reflecting the overall carpet design. The base is a pink and natural striped kilim. We ship them empty but each pouf has a zip fastening along one side so they can be filled easily. We recommend filling them with cushion pads and old blankets if you want to lounge on them or, if you prefer something firmer fill with poly foam.